Most of Dr. Mackenzie’s outpatient surgeries are performed at the Surgical Arts Surgical Center, which is Suite 202 on the second floor of the Surgical Arts building and above our office. Please visit the Center’s website HERE. 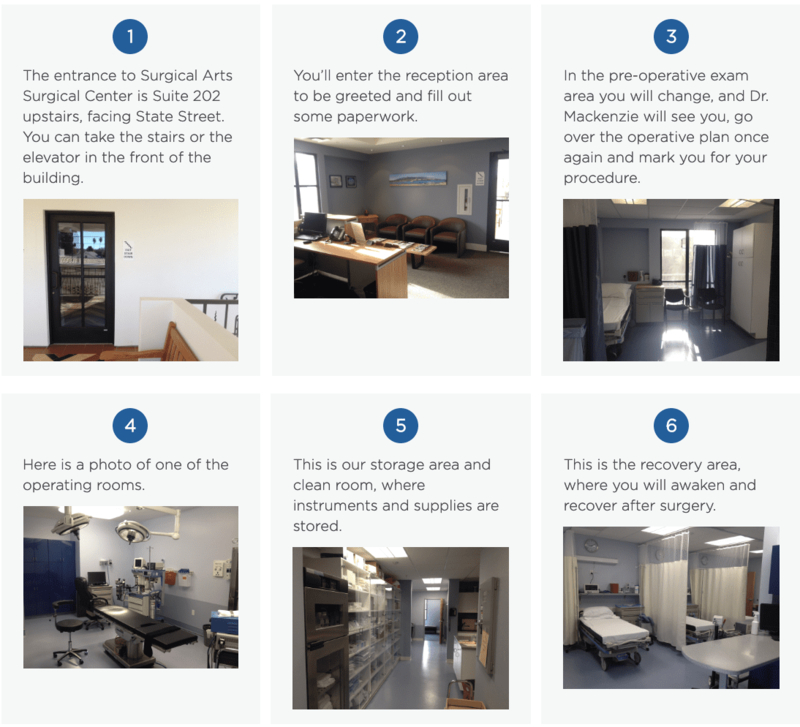 This accredited facility includes two operating rooms, two separate pre-operative consultation and marking areas, and a three bed recovery room. Dr. Mackenzie uses anesthesiologists from the Anesthesia Medical Group of Santa Barbara (see their website and read about their physicians here).